In the legal profession, experience is priceless. Our Vancouver personal injury lawyers possess more than 100 years of combined legal experience, and our staff has been with us for over a decade. At Caron, Colven, Robison & Shafton, we consider ourselves a litigation firm, not a mill. When we take on a case, we are not only looking to settle, and will fight to protect your interests at whatever level is necessary to secure the compensation you deserve. We regularly appear on behalf of clients in state, federal, and appellate court, where we have handled more leading appeals cases than any other firm in the area. Our Vancouver, WA Personal Injury Attorneys Will Aggressively Defend Your Legal Rights: You worry about getting better. Let us worry about making sure your medical bills are covered and that you are compensated for missed work and the pain and suffering you have endured. We take personal injury and wrongful death cases on a contingency fee basis, meaning you pay no legal fees unless and until we obtain a recovery for you. In almost all cases the intitial consultation is free. Fees are normally based on the benefit we believe we can provide to the client. The team of qualified and experienced personal injury lawyers at Caron, Colven, Robison & Shafton represent people who have been seriously injured in motor vehicle collisions and other accidents in Oregon and Southwest Washington. Our Vancouver attorneys can help you recover compensation for your injuries, including costs for medical expenses and long-term care, lost wages due to the accident, long-term disability, and the pain and suffering and emotional distress caused by the ordeal you were forced to go through at the hands of another. Our office handles personal injury claims in many areas, including: -Motor Vehicle Accidents -Trucking Accidents -Motorcycle Accidents -Wrongful Death -Construction Site Accidents -Premises Liability -Accidents Comparative Fault: Even if the injured party was partially responsible for causing the accident (e.g. by speeding) or contributing to the seriousness of the injuries (e.g. by not wearing seat belt), he or she can still recover from the other driver for the negligent driver's portion of the responsibility. In Washington, a plaintiff can recover from a negligent defendant regardless of the proportion of fault apportioned to each party (pure comparative negligence), while in Oregon, under a system is known as modified comparative negligence, the plaintiff can only recover if the defendant was the more negligent party. Statute of Limitations: In personal injury cases, you have a certain amount of time from the date of the injury to file a lawsuit. This amount of time may vary from state to state and often depends upon the type of case involved. In Washington, the statute of limitations for personal injury actions is generally three years, while in Oregon it is generally two years. After that time period has expired, you are forever barred from bringing suit. For this reason, it is important to visit with an attorney as soon as possible to protect your rights, preserve evidence, and make sure that your case is filed in time. We are constantly seeking to expand the opportunities our clients have to make their lives better. If the law is fair we will see that it is applied as it is intended. If the law is not fair, we will work to change the law. These principles guide the cases we take at trial and appellate levels. We have combined well over 100 years of legal experience. We don't just claim to be trial lawyers, we are trial lawyers. We don't take on cases hoping to avoid trial with a quick settlement like many others do. Each of our attorneys has tried dozens of cases in multiple areas of law. We believe that complacency comes from choosing too narrow a focus. Truly good legal representation requires an attorney who has a broad spectrum of experience. Our commitment to our clients sets us apart. We dig deeper and push harder to make sure our clients receive the best recovery possible. Attorney Ben Shafton is an experienced litigator and transactional attorney who practices in diverse of areas of business and commercial law. Mr. Shafton is available to assist clients in construction law, commercial law, corporate law, real estate law, professional licensing, insurance law, wills and trusts, and business and real estate transactions. 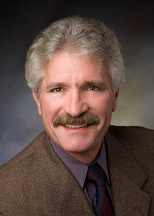 Mr. Shafton was a member of the Clark County Planning Commission from 1992 to 1996, and has been selected to Washington Super Lawyers for six years running. Mr. Shafton is a Fellow of the American College of Trial Lawyers. Bruce R. Colven concentrates his litigation practice on personal injury and wrongful death cases involving automobile accidents and product defects. Mr. Colven's reported cases include Teamsters Local 58 v. BOC Gases, 249 F3d, 1089 (2001) and Wood v. Battle Ground School District, 107 Wn App 550, 27 P3d 1208 (2001). 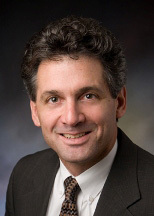 He was admitted to practice law in Washington and Oregon in 1989. 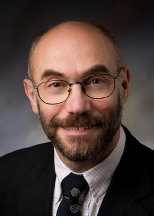 Gideon D. Caron was born in London, England but completed his undergraduate studies at Oregon State University and earned his law degree from Lewis and Clark in Portland. The majority of Mr. Caron's practice involves litigation, including personal injury and wrongful death cases in Oregon and Washington. 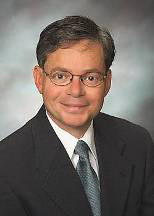 Washington native William "Bill" Robison concentrates his law practice on litigation with an emphasis on consumer and insurance law, including personal injury, wrongful death, motorcycle collisions, trucking accidents, products liability, construction, real estate cases, and workplace injuries. Mr. Robison has obtained settlements, arbitration awards, and trial verdicts in excess of one million dollars on behalf of clients.